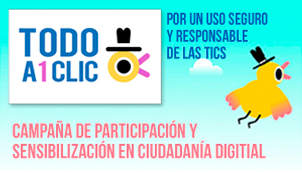 RedNATIC is a net of 12 organizations from the civic society of 8 countries of Latin America, committed to promote the Rights of children and teenagers to the safe, responsible and meaningful use of the new information and communication technologies. These organizations have a common framework approach based on the Rights of children and teenagers and shared values, principles and objectives. RedNATIC member organizations assume as shared the principles of those statements contained in the Conceptual Framework for rights of children and teens to a Safe, Responsible and Meaningful Use of ICT. In the current historical context, Information and Communication Technologies (ICT) have impacted all areas of human endeavor, turning from the individual processes of socialization to ways of generating wealth. In this sense, ICT is recognized as the best means to develop new and better ways of building and dissemination of knowledge, innovative strategies for strengthening public participation, decision making and the construction of active citizenship, among other opportunities and potential but also risks. In regards to childhood and adolescence, ICT is embedded in the everyday lives of children and adolescents, who have found one of these technologies as their main means of social interaction and identity construction. However, the forms of communication and interaction through ICT has boosted new expressions of known risks, as well as sophisticated forms of violation of their psychological and physical integrity, with consequent impairment of their fundamental rights. The development and refinement of new technologies, has not led to the parallel creation of mechanisms to protect the rights of children and adolescents in their use, the aspects of prevention of possible risks to which they might be exposed have not been sufficiently considered. As this is a global problem and making an impact in the lives of children and adolescents is considered relevant to the formation of an interagency network that allows combining efforts and experiences about this. Thus, the network will focus its work on the reality of Latin America but not unravel the challenges and progress around its center of action that developed in other regions.